Experience unlimited golf from now through all of next season! Your chance to join The 2019 Fairways Golf Membership is here! Join the 2019 Fairways Golf Membership today and start playing unlimited golf at Mallard Creek, Pine Brook, Briarwood and Dragon Ranch from now through all of 2019! Memberships are valid any day, any time – including both weekends and holidays! That means you can play when you want to, as much as you want to and how you want to. Hurry though – there are only a very limited number of membership spots being made available for the 2019 season. Don’t miss out on Ohio’s best golf value. Join The 2019 Fairways Golf Membership today! Discover Ohio’s best golf value. Experience truly unlimited golf. Become a Fairways Member today! • Early Access – You have the first chance to join and can start using your 2019 Fairways Golf Membership. In fact, when you join online, your membership will become instantly active. That’s more than $80 worth of bonus items you will receive just for joining! When you join The Fairways Golf Membership today, your membership will be valid from now through all of 2019. That means you will have access to Unlimited Golf any day, any time. That even included weekends and holidays without time restrictions! In fact, the only time you cannot use your Fairways Golf Membership is during league or outing play. 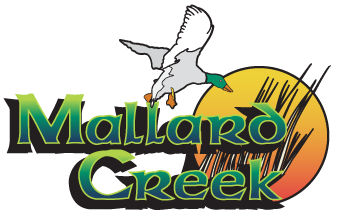 Receive your Fairways Member Card at Mallard Creek Golf Club in the pro shop or choose to have it shipped to you. Make a tee time at any Fairways Partner Course online or over the phone. Show your Member Card at the counter and never pay greens fees! Member Card and Bonus Item distribution will begin in October. Members joining prior to then simply need a valid ID at any of the courses to use their membership until then. Below you will find some of the upcoming dates that may be of interest to you. If you have any questions, please feel free to reach out to us at (440) 748-8231 or click here to message us. Member Card and Bonus Item Distribution – Begins mid-October or earlier.